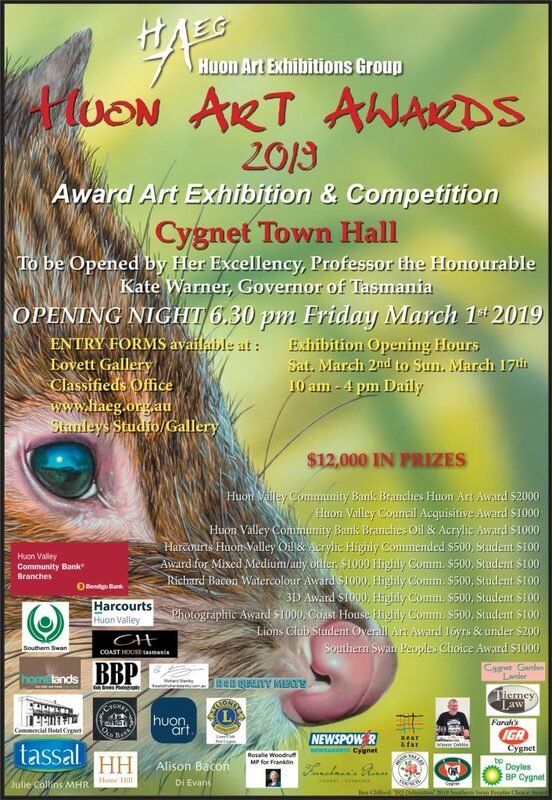 The 2019 Huon Art Awards Exhibition is now over. See the winners and opening night photos here. 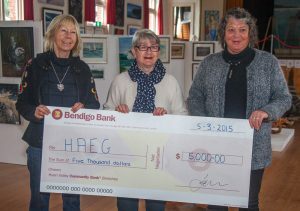 HAEG would like to acknowledge the Huon Valley Council for the Community Funding Grant which enabled HAEG to update the hanging system – making it easier to set up and accommodate more artworks. HAEG’s annual art exhibitions can only take place with the valued sponsorship of local businesses and patrons. HAEG gratefully acknowledges our major sponsor Bendigo Bank, along with many other local businesses. Saturdays and Sundays from 10am to 4pm. The roster for the current and following months is now available online below. Paul Thomas manages the roster so please take a look at the sitting calendar, see what slot you can take, and use the form below the calendar to book your slot. Paul will respond to you to confirm your booking. The sitting calendar and booking form is now available online here. Longtime HAEG treasurer and stalwart Anne Le Fevre was presented with Life Membership at the AGM today. In addition to keeping track of all the finances over the past ten years, Anne puts in many hours each week organising and maintaining all the ‘little things’ (plus quite a few ‘big things’) that keep HAEG going. 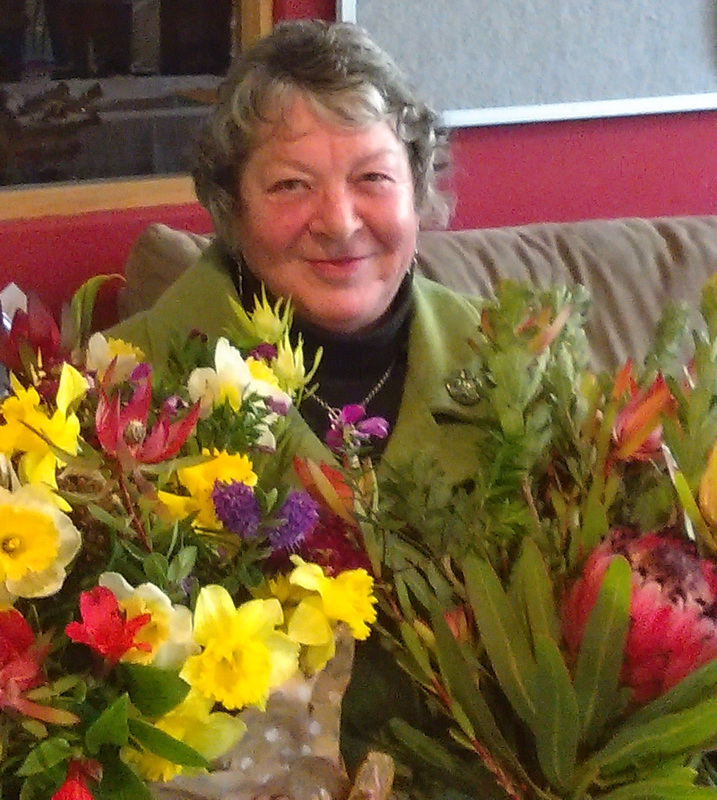 She also works flat out at all the HAEG special events such as the Huon Art Awards, and does all this with patience and a smile. Well done Anne for this well deserved award! 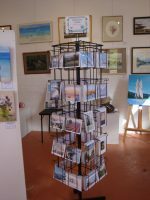 The Huon Art Exhibitions Group (HAEG) has been formed to facilitate a series of artwork exhibitions and competitions to be held regularly each year. The aim is to cultivate artistic and cultural life in Southern Tasmania’s rural areas and to foster young and emerging artists. HAEG events give local artists of all abilities a venue to show their work, and an opportunity to meet with artists in the region. 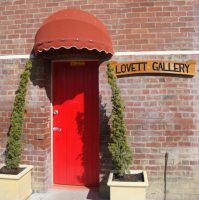 HAEG members operate the Lovett Gallery in Cygnet each weekend plus Fridays through the summer. 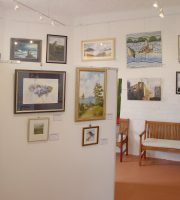 The work of members is available for purchase from the Lovett Gallery at very reasonable rates. 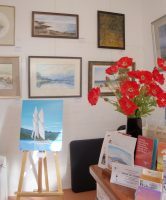 Works can also be purchased by contacting a committee member.